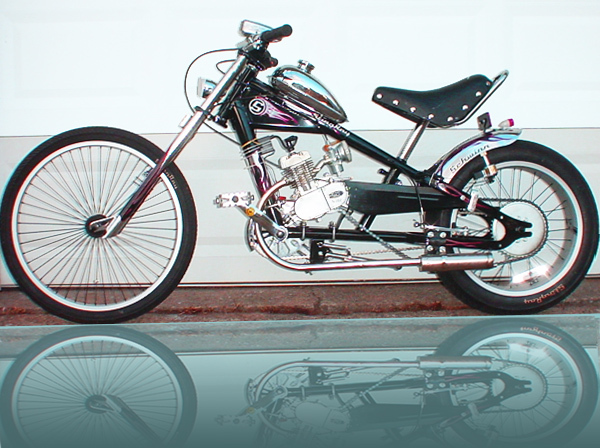 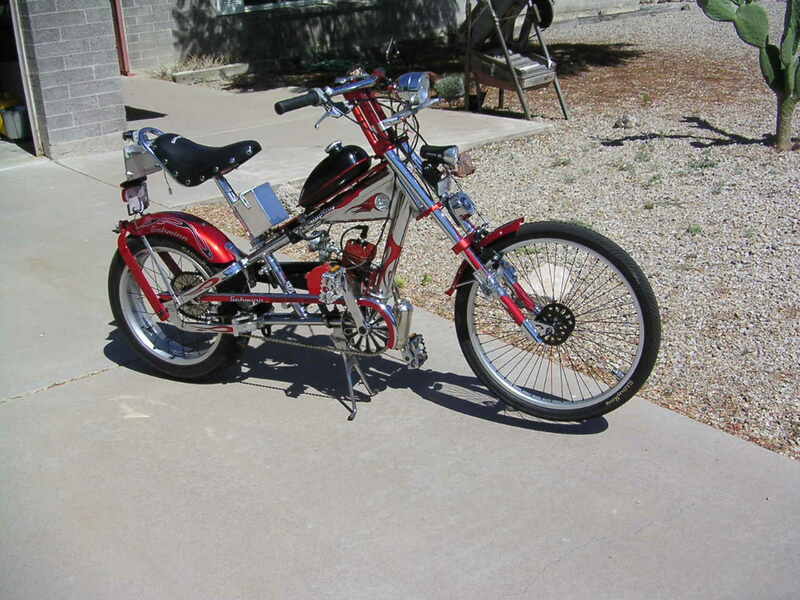 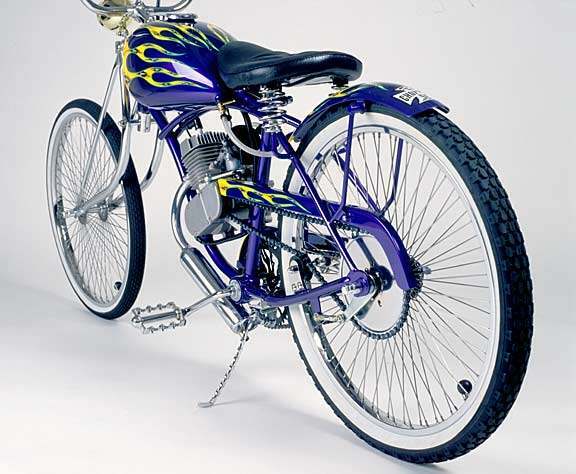 Enjoy pictures of motorized bicycle projects completed by Live Fast Motors and our incredible customers! 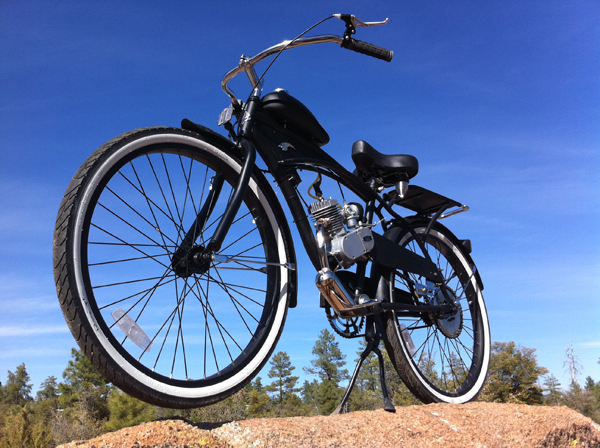 The "Black Pearl" flies again! 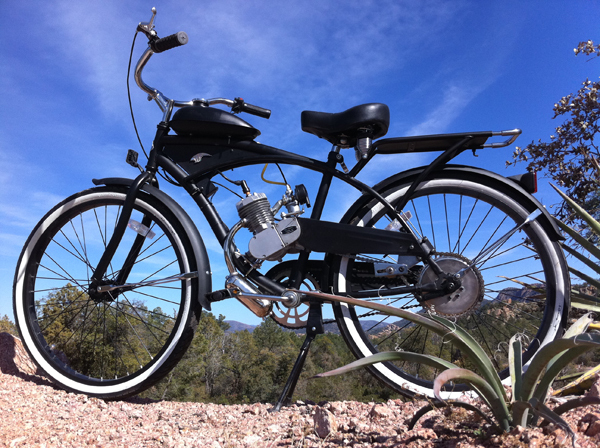 Center Mount Bicycle Motor Kit with Upgraded Parts Package. 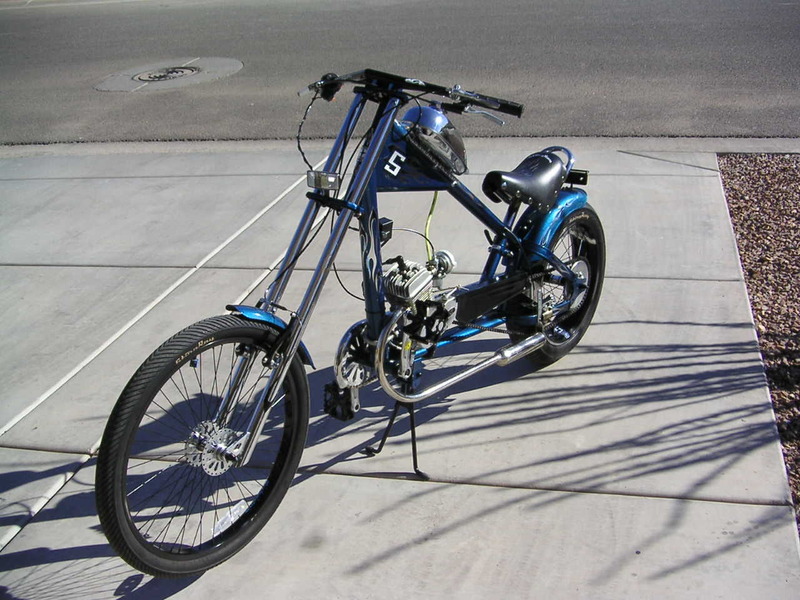 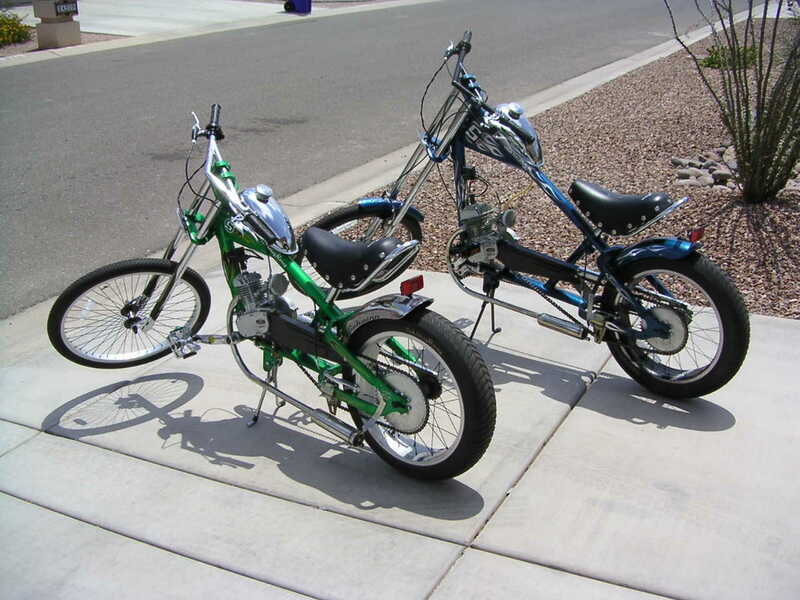 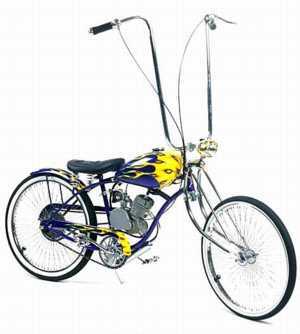 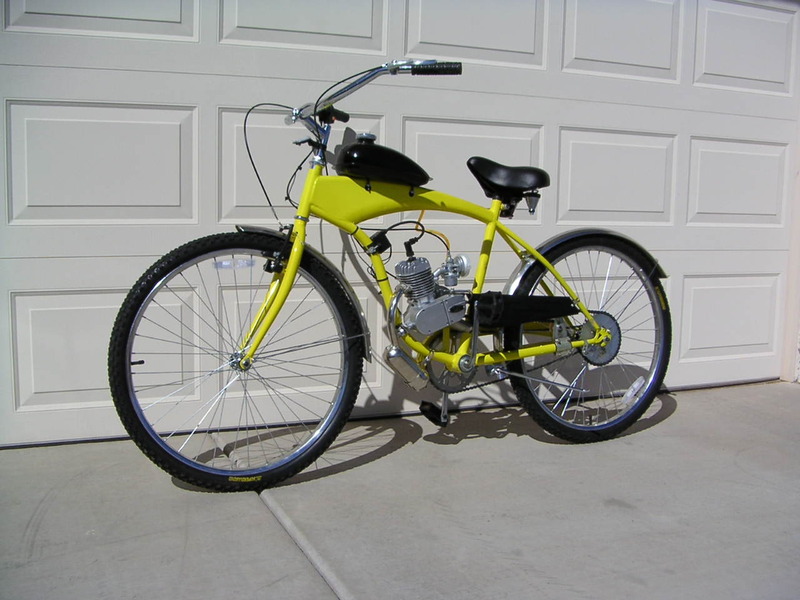 Custom Schwinn Stingray OCC Chopper Build-Out & Center-Mount Bicycle Motor Kit! 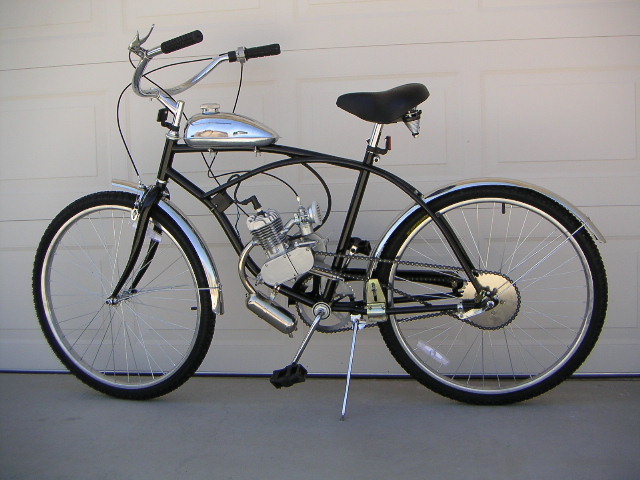 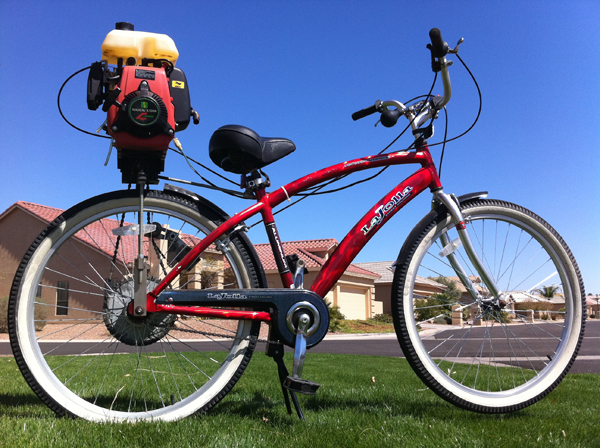 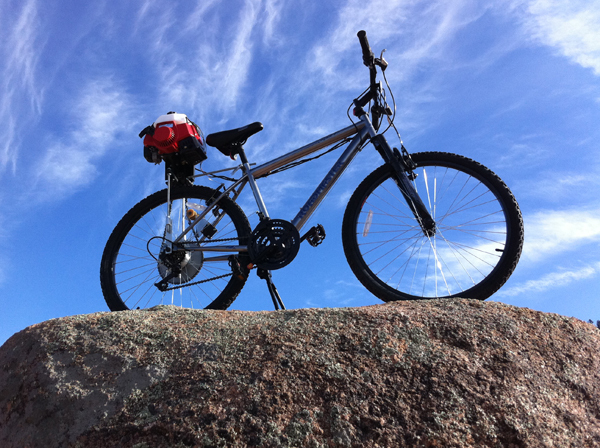 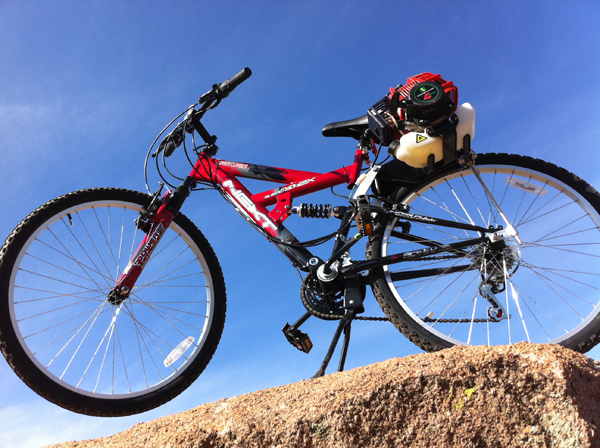 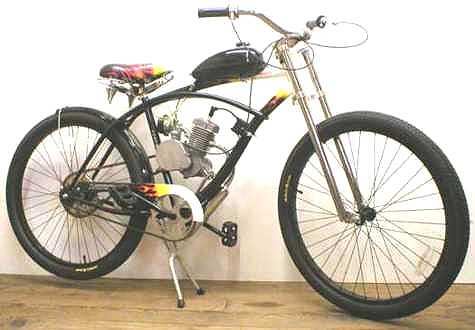 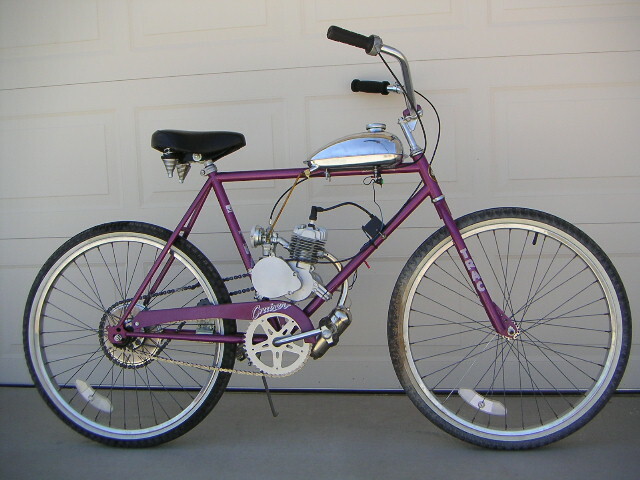 "King of the Road"
The "Silver Bullet" Rear-Mount, Chain-Drive Bicycle Motor Kit with Upgrade Parts Package. 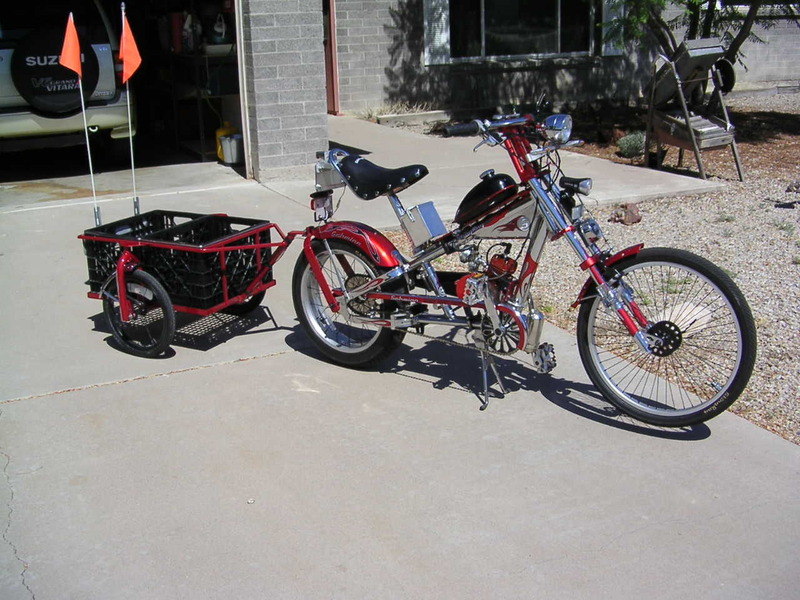 The Red Flyer! 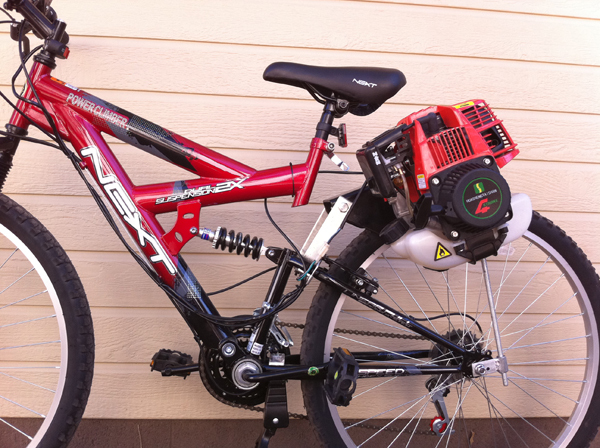 Rear-Mount, Tire-Roller Bicycle Motor Kit with Upgraded Parts Package. 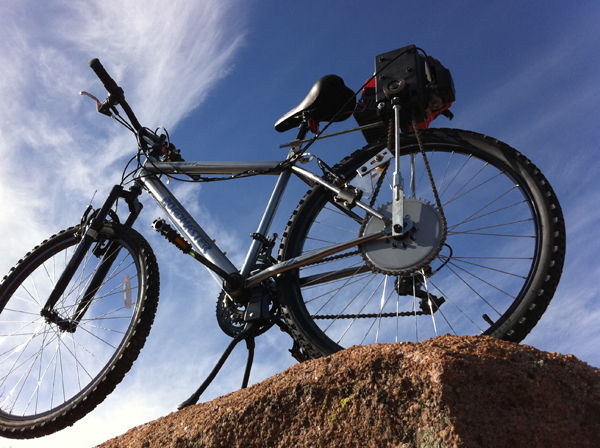 Rear-Mount, Chain-Drive Bicycle Motor Kits. 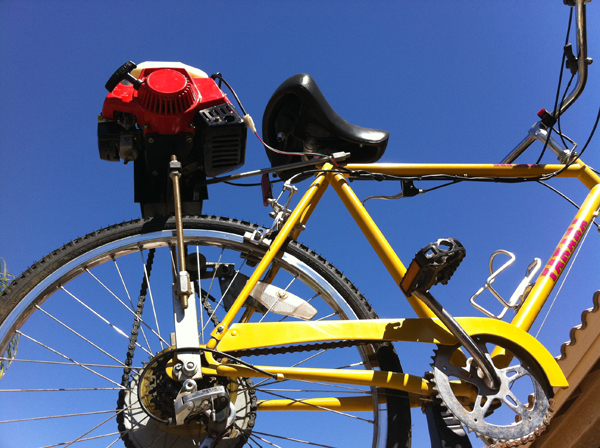 Center-Mount, Custom Bicycle Motor Kits. 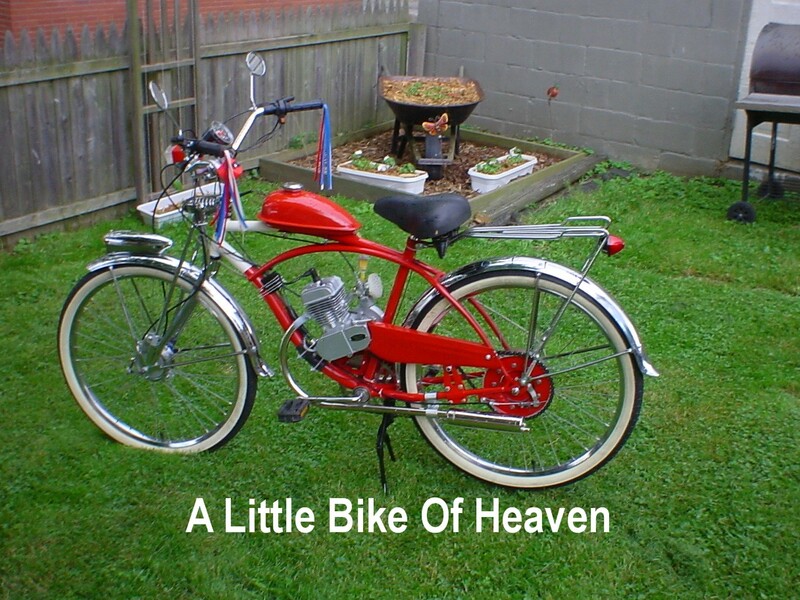 Customer's Creation "A Little Bike of Heaven"